Venugopala is Lord Krishna himself. The figure is seen standing on a pedestal. 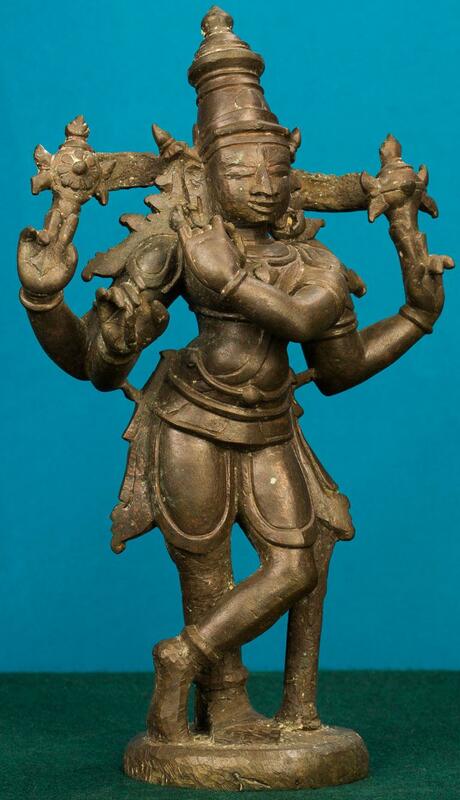 Krishna is portrayed as playing flute. This is a four-handed image with two of the hands holding the Shank (conch) and Chakra (discus) each.